The ExecTech program is a one-year personalized package of services. The program is all-inclusive, meaning all of your services are included for one fee. You are not charged by the hour nor asked to pay for extra services or products during the year. Your ExecTech program is customized to fit your needs and wants. No cookie-cutter programs at ExecTech! Your proposal will outline which of these services will be included. Your practice-management consultant travels to your location for meetings that last 2 to 5 hours. In some cases, your consultant may spend all day in your office to address your biggest issues and help you start implementing solutions. Meeting with you in your office gives your consultant the opportunity to look at your facility, review your systems and watch you and your staff in action. Your consultant can meet with your spouse, your office manager and staff, with or without you. He or she can provide assistance and training in your staff meetings as well as find the underlying causes of your biggest problems. Nothing is more effective than direct observation and interaction with your practice to provide you with the most help and the best advice possible. Many clients find they prefer meeting at ExecTech as it gives them a different perspective in a spacious, upscale location. These practice owners work on their practices and make their plans, without distractions. ExecTech consultants like having all ExecTech resources available for a comfortable, stress-free meeting. You and your consultant have complete flexibility to schedule meetings in whatever way gives you the results you expect from your program. 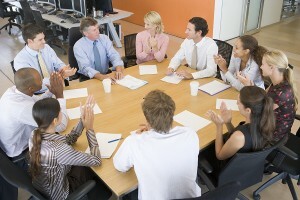 For example, one client preferred to meet for 1-2 hours each Monday at ExecTech. During the meetings, his consultant trained him on patient-management and staff-management skills and then helped him work out his plans for that week. As a result, his practice more than doubled during that year. You and your consultant discuss your progress by telephone as scheduled and as needed. During that call, you and your consultant will review your statistics, your current issues and any difficulties you are facing with implementation of your solutions. If your office is not close to an ExecTech office, you will use telephone consulting more intensively. Your consultant may also conference in your spouse, staff or associates to address issues or implement solutions. As a result of each consulting meeting, you and your consultant will work out a mini-program, or a list of action steps for you to take. These steps are designed to help you create the most amount of improvement with the time you have available. If you complete your mini-programs, you will get all of the benefits and results promised in your proposal. You must be 100% willing to complete each action step in your mini-program and give them your highest priority. If you are not willing or able to complete an action step, it will not be included in your mini-program. You and your consultant will continue to work together until you create a mini-program that suits you best. 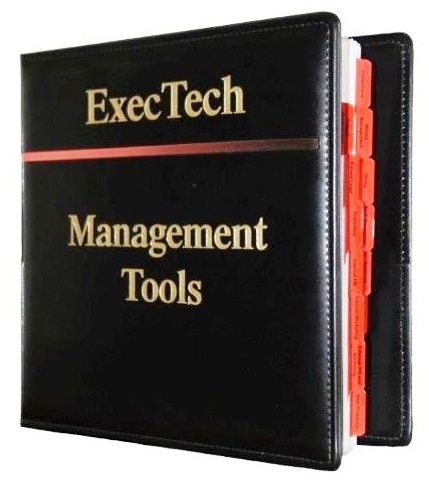 You will receive over 850 pages of guidelines in the ExecTech Management Tools binder. This binder is used in your consulting to give you step-by-step instructions on how to do virtually everything to manage your practice. Personal Success: Creating your goals, motivating yourself, problem-solving techniques, time management, managing stress, becoming more efficient, handling difficult people, increasing your courage as a leader and much more. Patient Management: Creating a “wow” experience for your patients, new patient forms, how to give treatment recommendations, patient scheduling, missed appointments, how staff can handle patient complaints and more. Patient Legal: HIPAA rules compliance, informed consent, informed refusal, malpractice prevention and how to dismiss patients. Promotion: Marketing myths, new patient log, time allocation for promoting your practice and four phases to unlimited new patients. Internal PR: First impression checklist, uniforms, staff/doctor relations in front of patients, speaking for groups, holiday season checklist and more. Internal Marketing: Getting patients to refer their family members and friends, daily marketing opportunities, staff promotion bonus plan, job description for the promotion manager, gifts to patients and more. External PR and Marketing: Professional referral system, marketing costs, building sign, advertising laws and more. Collections: Accounts receivable management, patient financial policies, collection priorities, waiving copayments, collection from insurance plans and managed care plans, negotiating fee increases with plans and more. Money Management: Calculating current profit and potential profit, financial planning, reducing overhead, managing wealth, income taxes. Hiring: How to Hire A-Performers, tests, working interviews, background checks, employment agreement, new hire checklist and more. Staff Management: Labor law, correcting staff behavior, raises, millennials, staff disputes, sexual harassment, termination of employment, staff meetings, staff motivation, task assignment and compliance, interoffice communications, staff pay, delegation of responsibility and much more. Business Management: Statistical management, organizing board, decision making, leadership qualities, leading by example, office space leasing and design, disaster protection, government inspections, ransomware and more. Associates: How to find and hire great associates, associate doctor employment agreement, sublease agreements, keeping associates happy and productive and turning associates into partners. Practice Transitions: Partnerships, partnership proposals, increasing the value of your practice, buy-sell agreements, managing your practice from a distance, long-term profit planning, retirement. How to Be an A-Performer: A 50-page package of articles for your staff to help them improve their performance. 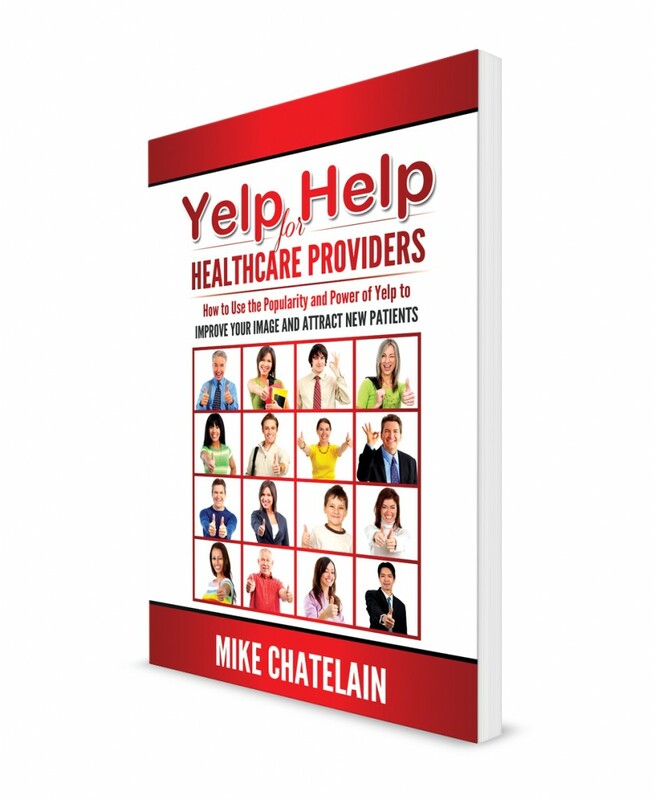 Includes being a professional, personal image checklist, charisma, how to improve your boss’s mood, assignment compliance, motivating coworkers, patient complaints, angry patients, tact, turning callers into new patients and patient referral requests. In addition to your consultant, your ExecTech team includes an ExecTech coach. He or she is trained on ExecTech’s system for training you on dozens of skills you need to reach your goals. You and your coach meet for 30-60 minutes each week to work through a series of guidelines on people skills, dealing with difficult people, improving your efficiency, increasing your productivity, managing your finances, handling your staff and more. For more details, and to see the 126 skills covered in ExecTech’s coaching program, click here. In addition to your Management Tools binder, you will receive a Performance Coaching binder. This package includes 320 pages of material that will be used in your coaching program. Your program will include at least one additional year of coaching for your spouse, partner, office manager or associate. The details will be included in your ExecTech Program Proposal. Our most successful clients surround themselves with A-Performers who know what they are doing. Enabling them to perform at their best is the goal of their coaching program. Each additional coaching client will receive their own Performance Coaching binder. No matter what is happening, your consultant and coach are in your corner. 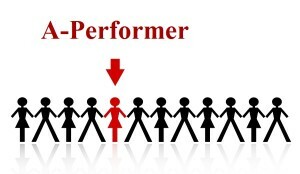 How to be an A-Performer and more. The workshops include written guidelines for all who attend. Unlike other systems for creating your Staff Policy Manual (or Employee Handbook), ExecTech’s system includes step-by-step instructions for customizing your manual, explanations of labor laws that apply to your practice, staff-management policies based on hard-won lessons in the real world, and easy-to-understand common-sense policy wordings on 105 topics. The policy manual is not included in your Management Tools Binder as we are constantly updating the manual based on labor law changes. You and your consultant can go through the manual and customize it to your practice. As part of this service, we give you a special survey link that you email to your patients. They receive a gift for completing the survey and within two weeks, you have more feedback than you have ever received. You, your consultant and your staff can then use the data to improve the weaknesses and lock in the strengths to give your patients a better experience with your practice. The survey also encourages your happiest patients to post Yelp reviews and alerts you to any patients who are dissatisfied. Instead of the weekly “Tips and Ideas” article, you receive the “Weekly Client Article” each Monday. The client articles are either the same as the “Tips and Ideas” articles or they expand on the topic, include more detailed advice or provide client-only material. For example, exact specifics of how to get great online reviews every single week, announcements about new video tutorials or where to get new client-only guidelines to add to your Management Tools binder. Your consultant will be happy to help you create forms, office policies, bonus plans, announcements, patient letters and so on. When it comes to creating your new and improved practice, you are never on your own. ExecTech’s newest addition to our program is a series of training videos you and your staff can use at any time on any device. 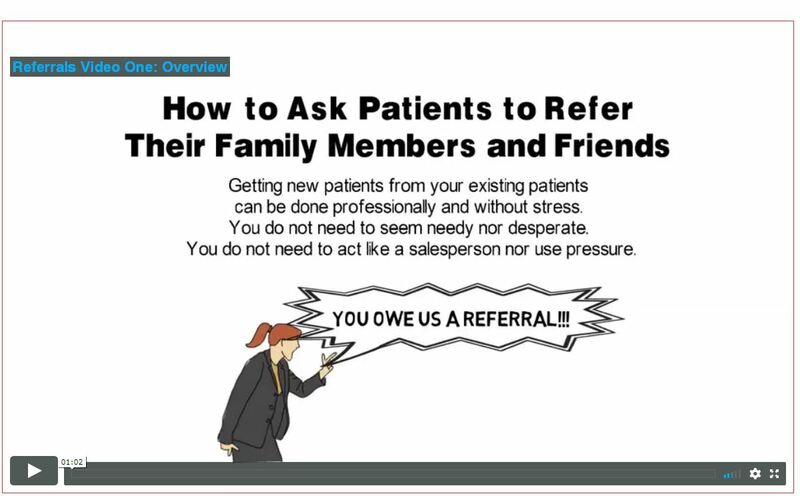 Eight of the tutorials show you and your staff how to ask patients for referrals. Opportunities to generate new patients from your existing patients exist everywhere! Now, anyone can generate new patients without stress or pressure by following the steps in these new video tutorials. In these videos, you will learn which patients can be asked and which should not be asked. You will learn five proven methods to ask for referrals that are easy to do and not offensive to patients in any way. Other video tutorials include step-by-step instructions on how to handle difficult people, increase your personal power and more. As an ExecTech client, you receive an account to use ExecTech’s OnlineJobAp system. As you may know, all large companies and governments require candidates to fill out an application on the internet before they are granted an interview. Applicants like this approach as they can complete their applications, at their convenience, with no rush. They can gather their job history information, carefully read the legal notices and ensure their answers are accurate before submitting the application. They can also attach their resumes and photos. You will also like ExecTech’s online system as you can read the typed answers more easily than hand-written answers, quickly screen out unqualified applicants and only contact the gems for interviews. In addition to the standard job application questions, applicants answer 10 pre-interview questions to help you spot potential A-Performers within seconds. For more details, go to exectechweb.com/onlinejobap. As an ExecTech client, you will have access to dozens of files you can download and use in your practice. The online client library includes the newest ExecTech guidelines, not found in the Management Tools binder. The online client library also includes dozens of forms and sample letters in Word Doc. You can download, save and customize the forms as you wish. For example, a sample New Patient form, Missed Appointment Log, Job Application, Informed Refusal, Patient Testimonial and Photo Permission form and so on. The collections sample letters includes 20 powerful letters you can use to fight payment reductions and denials from insurance companies and managed-care plans. An essential part of your ExecTech consulting is to carefully track your statistical changes. We do this with a weekly report line from your office to your consultant. As a minimum, your consultant will need your weekly new patients, production and collections. Additional statistics may be needed on a temporary or permanent basis, such as production breakdowns of individual providers, over-the-counter collections, numbers of new patient from individual sources like referrals or web presence, etc.. Your consultant can then put your stats on a graph to see the correlations. For example, a drop in new patients causes a drop in production and collections within a few weeks. The trend of your statistics acts as a planning guide. For example, when a statistic is rising, you find and strengthen the causes of the rise; you do not make big changes. However, when a statistic is dropping, you must make changes to quickly reverse the downtrend. 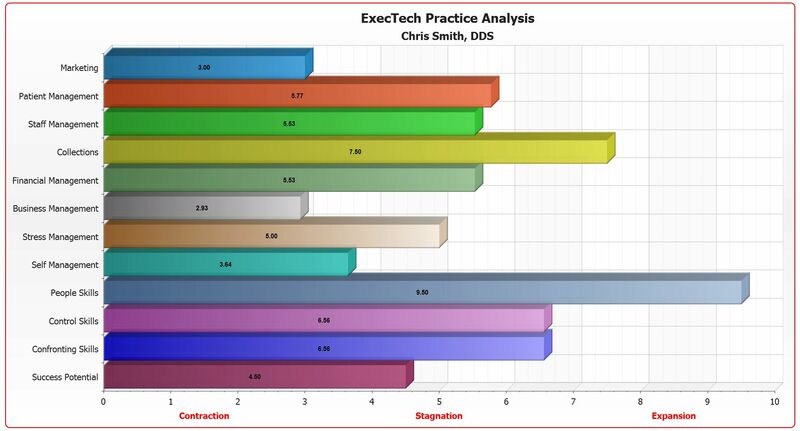 As an ExecTech client, you will learn how to use this incredible management tool to stay in control of your practice. Before determining the program fee, you and an ExecTech consultant meet for a three-hour Practice Analysis. At the end of the meeting, you and the consultant will have a good idea if we will have a successful client-consultant relationship. If so, we schedule a second meeting for an ExecTech program proposal. An ExecTech proposal outlines your practice goals, statistics and problems. 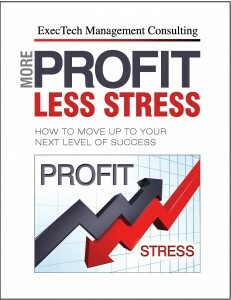 It lists several objectives to help you resolve your problems, boost your statistics and reach your goals. It outlines all of the services ExecTech provides in the package and the fee. ExecTech charges a one-time fee for a full year of consulting and coaching. The fee is based on the consulting objectives, size of your practice, location of the meetings and amount of coaching your practice will receive. 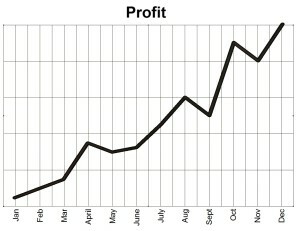 Most clients recover the fee through additional profits within 3-4 months. Because ExecTech focuses on solutions that stay in place, your investment pays off every year for the rest of your career. 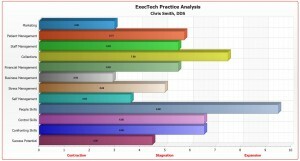 You can also arrange a free ExecTech Practice Management Analysis.